Enter the multibillion-dollar key replacement industry. OR ENHANCE YOUR EXISTING PROGRAM. 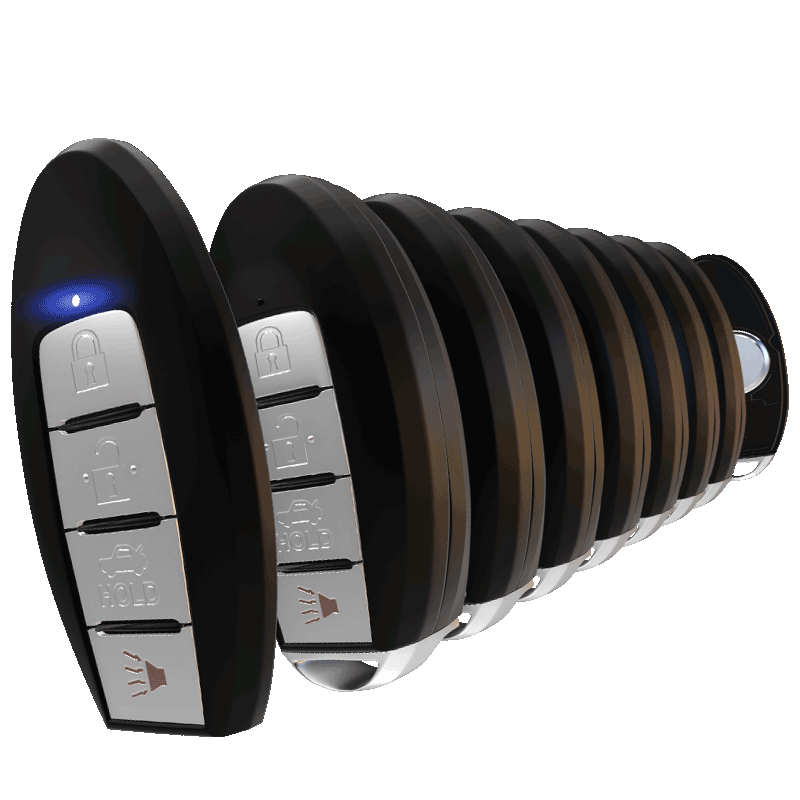 Two consumer-programmable remotes control the keyless entry systems for thousands of makes and models. A “do-it-yourself” kit allows consumers to recondition their worn or broken remote. Each includes a new outer shell and button pad. 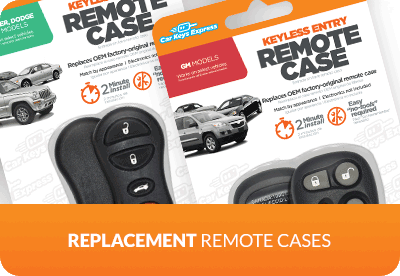 A DIY kit allows consumers to replace modern car keys previously only available at the dealership. A universal key and EZ Installer™ are included. 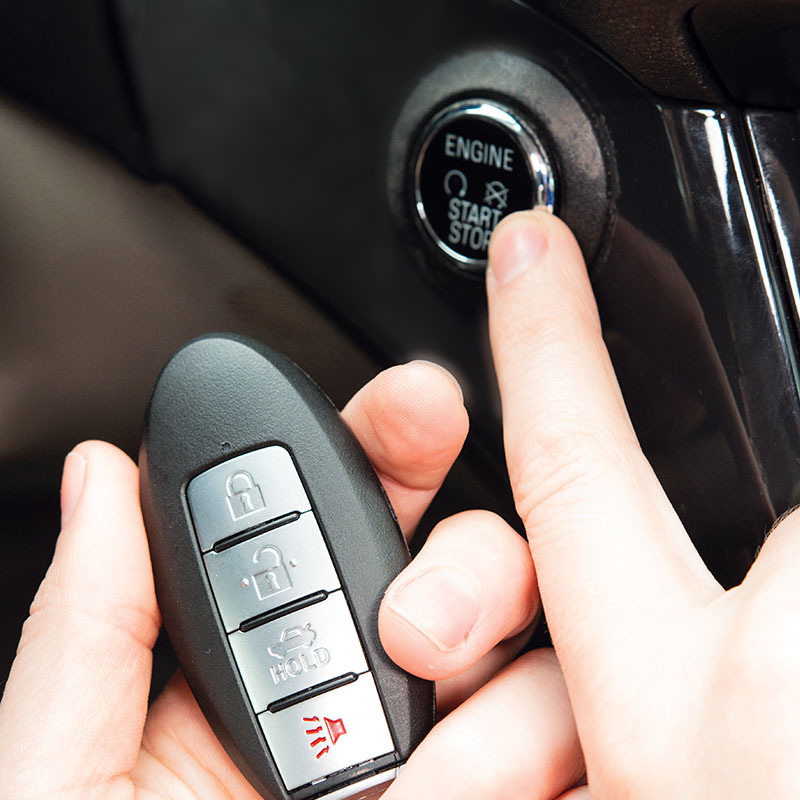 FOR THE FIRST TIME IN 30 YEARS, REAL AUTOMOTIVE KEY REPLACEMENT IS COMING BACK TO RETAILERS. We’re disrupting the key replacement industry, developing tools and keys to simplify key replacement and shift it away from the dealership and back to retail. 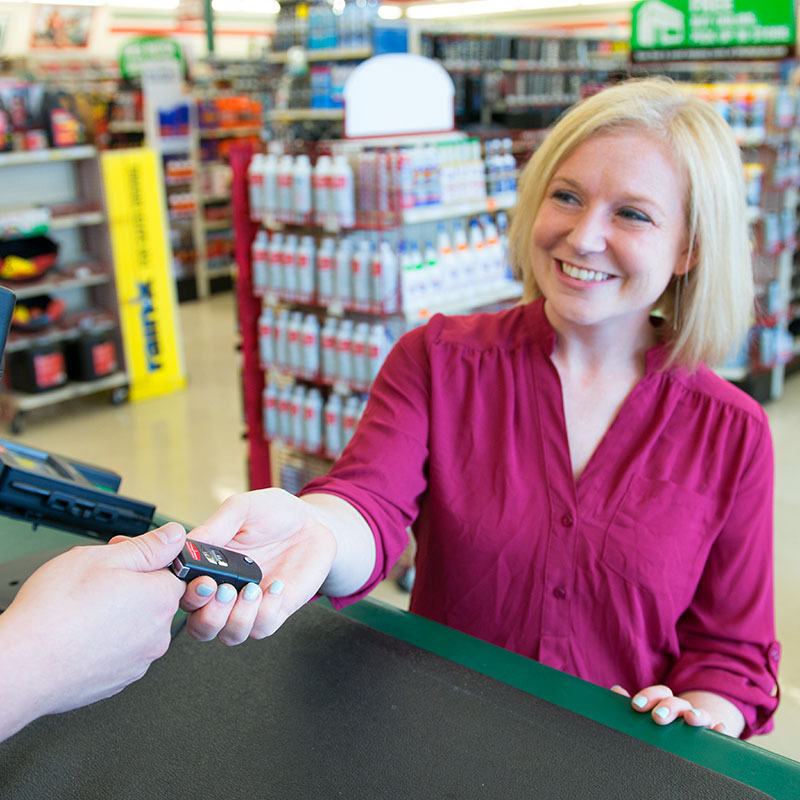 Our industry-changing portfolio of products and solutions brings high-profit, modern key replacement to your store. As the world leader in automotive key replacement, we’re uniquely qualified to provide you the opportunity to enter this multibillion-dollar industry. For decades, carmakers have enjoyed a virtual monopoly on the replacement key and remote consumer market. Highly sophisticated keys, once reserved for luxury cars, are now in all types of vehicles—even bargain models. As a result, the cost of key replacement has increased over 400% in the past 10 years. This has forced consumers to deal with the time, expense, and hassle of a dealership appointment. 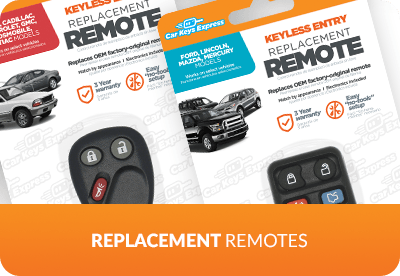 Only Car Keys Express offers unique, patented technology and unmatched industry experience and expertise to unlock the key replacement industry for retailers. Our keys and remotes are universal. With just a small selection of products, you can cover most vehicles on the road today. No one else offers a full line of universal products so retailers can stock a handful, not a roomful. Our products are engineered for more turns. Our keys and remotes are universal. Universality dramatically reduces inventory cost and complexity. Universal technology expands vehicle coverage, allowing for more turns on a single SKU. With just a small selection of products, you can cover most vehicles on the road today. Maximum vehicle coverage is indicated for each SKU. Exact match, one-to-one compatibility is included on packaging, so customers can easily determine which product is right for their vehicle. 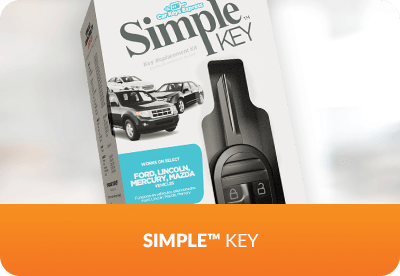 Backward compatibility for vehicles that originally came with a separate key and remote are included on packaging. 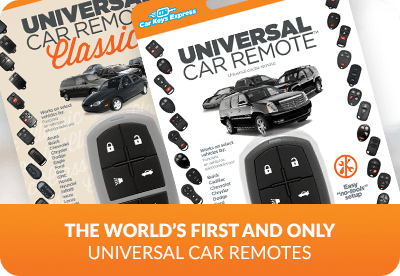 All of our universal remote keys are backward compatible with older vehicles. 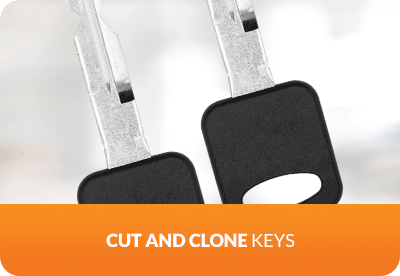 We’re the world’s largest, most trusted key replacement company. Because we install thousands of keys every day, we know which products are in highest demand. Because of our experience manufacturing and remanufacturing keys, we know which designs fail most often. Leverage this knowledge to offer products that will result in higher turns.